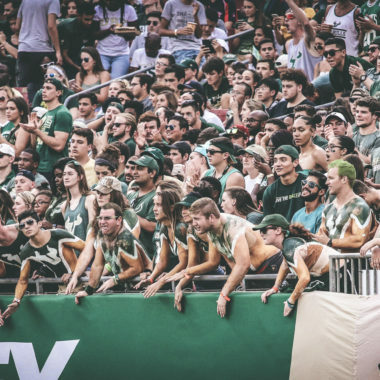 Tampa, August 30, 2018 – This Saturday night the USF Bulls will take on Elon in what is a highly anticipated matchup for South Florida as both the organization and fans will witness first-hand the new major pieces of the puzzle that has been put into action for a hopeful new bounce-back era after facing some key losses and changes. 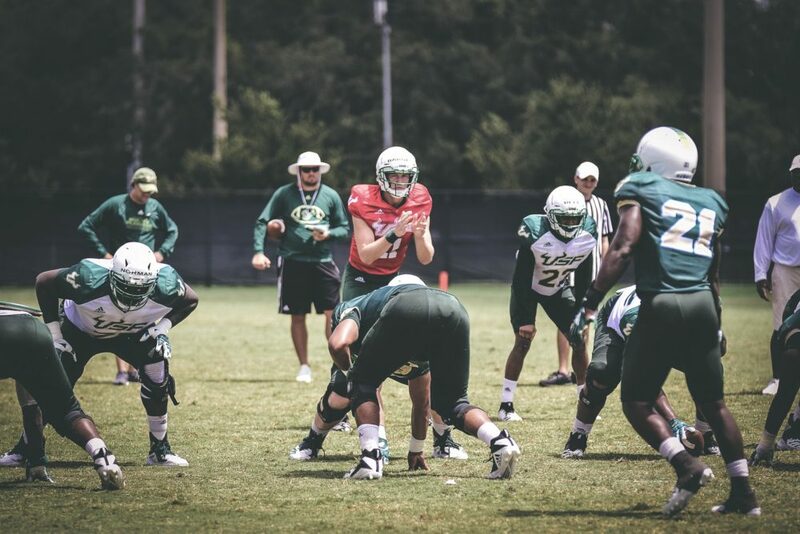 Head Coach Charlie Strong and the Bulls have finally come to an executive decision after considerable suspense in the spring offseason quarterback race, the well-known chatter around South Florida right now is 6’5” 217-pound junior quarterback Blake Barnett, former Alabama and Arizona State starter, is to fill the void starting week one. Barnett transferred in the spring of May with two eligible years left to play CFB and in seven career games with Alabama and Arizona State he completed 14 of 24 passes for 259 yards, recorded two touchdowns and one interception. ESPN Recruiting rated Blake as the number 1 pocket passer and number 14th overall in his 2015 class, coming out of Santiago High School in Corona, California- his native stomping grounds. Tremendous shoes to fill in place of 2017 graduate and collegiate star QB Quinton Flowers, who set 42 records for USF, including 3,672 career rushing yards, 11,802 career total offense yards, racking up 112 total touchdowns. 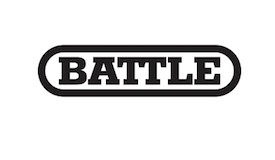 It’s been quite the showdown between the three quarterback candidates going back and forth, rep for rep, bonding with their receivers and now with Blake sealing the deal as the opening starter, 6’2” 197-pound sophomore Chris Oladokun and junior Brett Kean will battle for the second spot continue the battle in practice to possible overtake QB1. 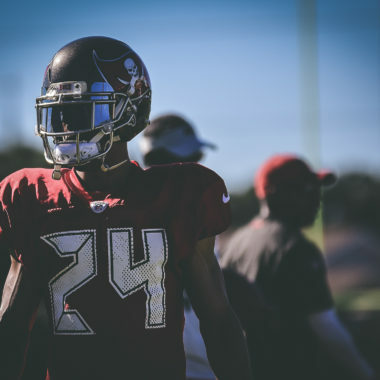 Breaking down team changes, game day difference-makers like wide receiver Marquez Valdes- Scantling who is trying to develop a relationship alongside QB Aaron Rodgers as a Green Bay Packer and former Defensive Tackle Deadrin Senat, a true menace rushing inside the lines, who is now competing in another esteemed young defensive squad close to home on the Atlanta Falcons were both lost to graduation after this past 2017 season, so with that being said, South Florida’s front lines, especially the defensive line play will also be a big contributing factor in dictating the outcome of the team’s triumphs they will face this upcoming season. 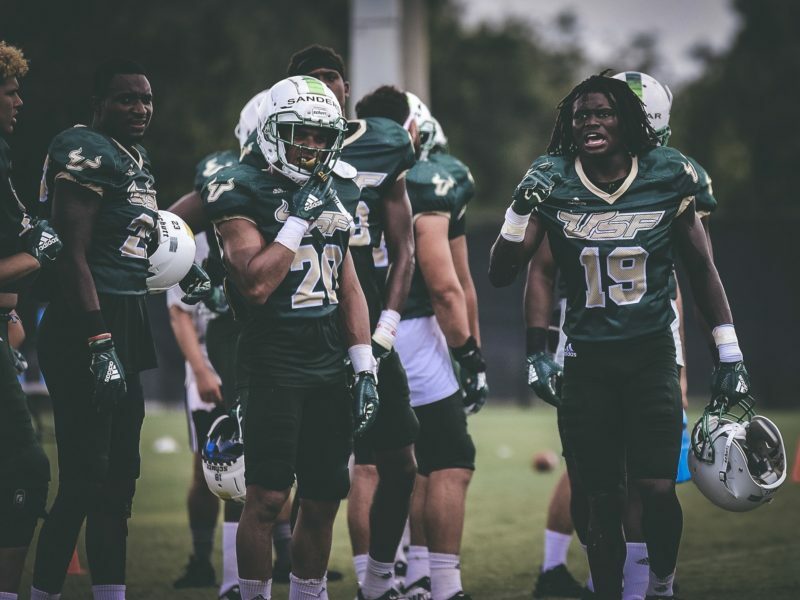 In 2017, USF finished 2nd among their respected American Athletic Conference behind UCF’s 13-0 perfect season with a 10-2 record, taking their dynamic running back duo, star QB Quinton Flowers and other fierce offensive and defensive playmakers mentioned before in guys like WR Marquez Valdes-Scantling and DT Deadrin Senat who have since moved on to the pros into consideration, comparing last year’s unit and this year is a toss-up. 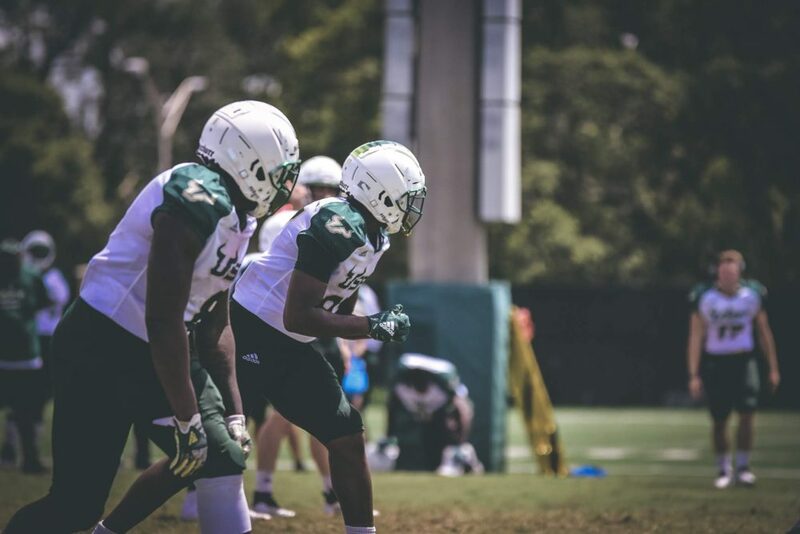 Seeing how this year’s group will fare with significant pieces to the overall collective team picture missing, it should make for an exciting, edge-of-your-seat year for the Green and Gold. 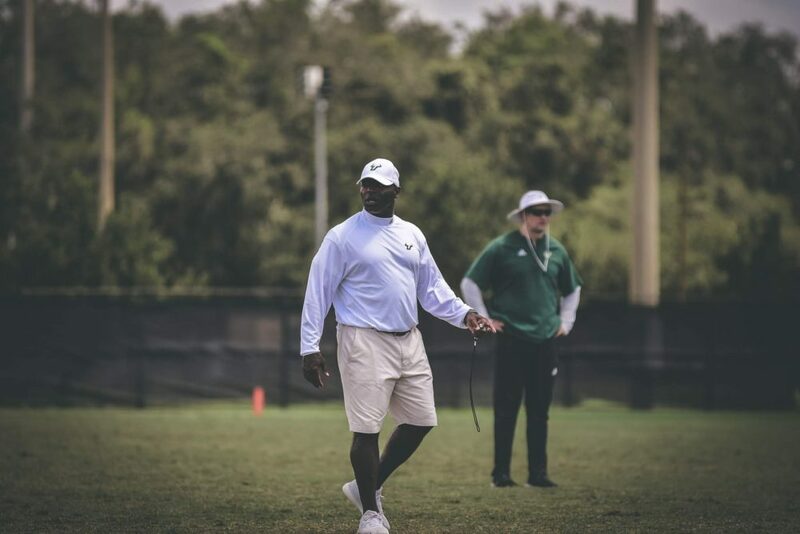 I’m no expert analyzer, but I suspect another positive 2018 year ahead for the Bulls if the young talent next in line steps up to the challenge to fill the gaps both in the secondary and behind the offensive front lines, in the running, passing and catching categories; furthermore, if they play as a disciplined and organized squad, USF will continue to stampede their way towards the top of their standings.